Get a burst of power in just minutes of charging when you need it most. The 28,5W TurboPower™ 30 wall charger delivers up to 15 hours of power in just 15 minutes of charging on Moto Z Force Droid Edition*. It's compatible with USB Type-C (USB-C) enabled smartphones and tablets, including the Moto Z family of phones. * Battery must be substantially depleted. Charging rate reduces as charging progresses. ** Not all devices will charge at the same rate. Some may not be able to fully utilize the 28.5W. If you have Moto Z Force, TuboPower 30 will charge faster as it will utilize the full 28,5W. For other USB-C compatible Motorola phones, they will both charge them at the max rate the phone is capable of. No. This charger is for USB-C plug. Droid Razor II and Droid Max are micro-USB plugs. Our TurboPower 15 Micro-USB Wall Charger will do the job. Can this charger be used on a 110 volt outlet? Which charger should I use for the TurboPower™ battery moto mod? Both the TurboPower™ 15 USB-C and the TurboPower™ 30 USB-C will be compatible, but the TurboPower™ 30 will charge the TurboPower™ mod at up to twice the speed of the TurboPower™ 15. Can this charger work with Moto X4? Yes. The Moto X4 is compatible with the TurboPower 30 (28.5W), but you won't see any significant charging difference as the X4 max power input is only capped at 15W. The TurboPower 30 was specifically designed for 3 devices (Moto Z Force, Moto Z Force Droid, and the TurboPower Battery Pack Mod). 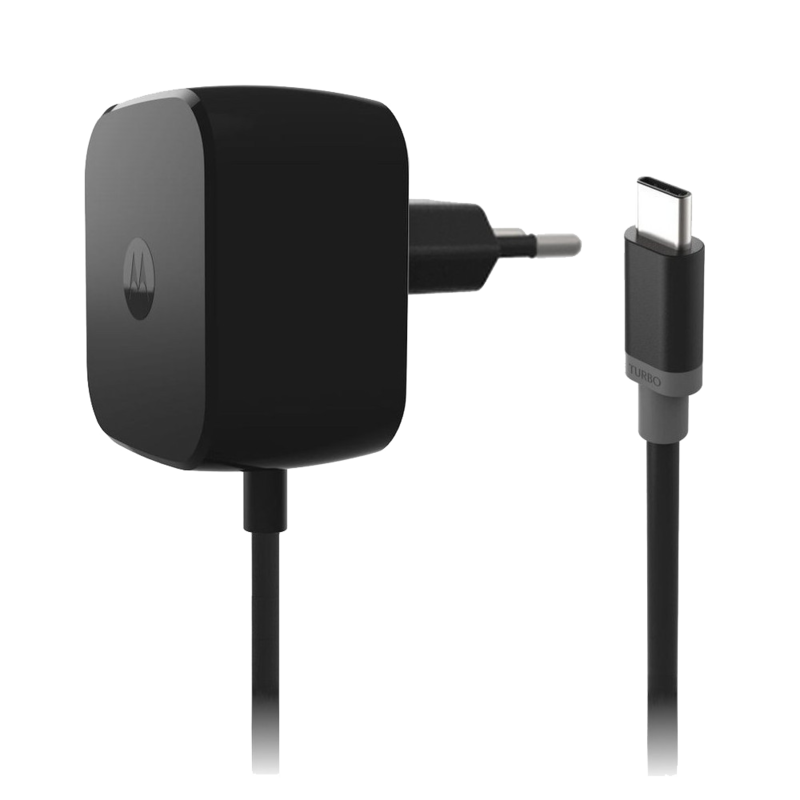 For the other USB-C devices in Motorola's lineup it will only be comparable to the stock charger.